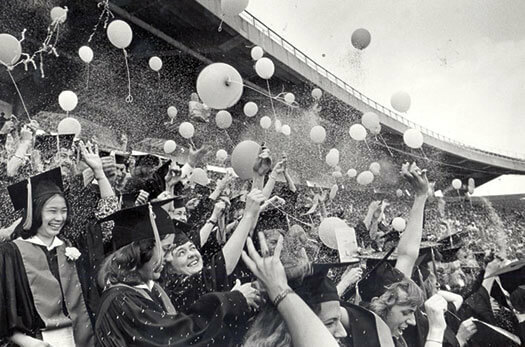 Graduates celebrate completing their UW degrees at Camp Randall in this 1978 photo. In May, commencement will return to the stadium for the first time since 1990. 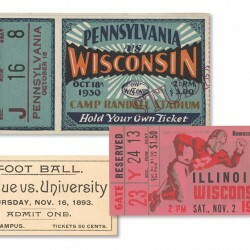 This May, UW graduates will go where no commencement robes have gone for almost a generation: Camp Randall. After a twenty-four-year absence, spring commencement will once again be held in the stadium, thanks to the efforts of a small group of persistent undergraduates who worked closely with campus administrators to make the big move. Commencement was shifted from the stadium to the Wisconsin Field House in 1991 and then to the Kohl Center when that facility opened in 1998. At the time, event planners hoped dividing the graduating class into five smaller, college-based ceremonies would create a more intimate experience for all. Yet something was lost in the process. Lori Berquam, vice provost for student life and dean of students, says that small ceremonies make it more difficult to comprehend the number of graduates coming out of the UW each year — and to imagine the impact those graduates will make on the world. “All of our students are going to go forth and do great things, and it’s hard to get the enormity of it when you see it in little, bite-sized pieces,” Berquam says. 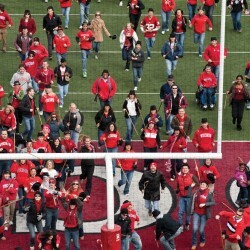 Discussions for a return to Camp Randall began four years ago, but the plans were put on hold when former Chancellor Biddy Martin PhD’85 left campus. Shortly after Chancellor Rebecca Blank took over in fall 2013, she approached senior class officers to resurrect the idea. Sarah Neibart x’14 was part of the early discussions, and she’s excited to see the idea come to fruition — and to walk in the new ceremony she helped design. In 1990, the last time spring commencement was held in Camp Randall, most undergraduate members of the Class of 2014 were not yet born. We figured it’s time to look back at how things have changed. 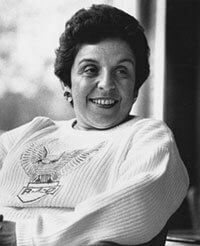 Donna Shalala was two years into her tenure as the first female UW–Madison chancellor. She was also only the second woman ever to lead a major research university and the first to head a Big Ten university. Five chancellors later, Rebecca Blank is finishing her first school year as the UW’s third female boss. 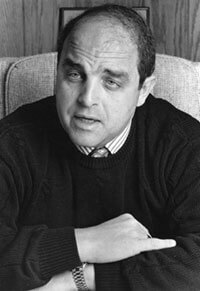 Three residence halls were still all-women: Chadbourne, Barnard, and Elizabeth Waters. Elizabeth Waters Hall was the last to go co-ed, which it did in 2006. The smaller Cole Hall then shifted to all-women for one year before reverting to co-ed. The first student computer lab — the Media and Microcomputer Center — opened in College Library. It housed 22 Macs and more than 70 PCs. The Badger women’s ice hockey team did not yet exist. Its first season was 1999, and since then, the team has won four NCAA championships, most recently during the 2010–11 season. 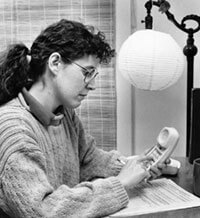 Automated student registration (represented by the “Touchtone Lady”) was still a very new process, having launched in fall 1989. This cutting-edge technology enabled students to register for classes by typing course numbers in via a telephone pad. Previously, students had to race around campus and wait in long lines to register in person. Online class registration wouldn’t begin until 2003. The UW’s ethnic studies requirement was established. Since then, all UW–Madison students have had to earn at least three credits studying another ethnic group.